An education in Cyber Security is in more demand than ever before. We’ve researched over 70 graduate programs. Our analysis took a deep dive into how each program prepares academic researchers and working professionals to solve the world’s most pressing cyber security challenges. These programs go beyond cutting-edge technology and hands-on, cross-departmental experiences. They offer cyber security fellowships and internships, government and industry networking opportunities, and projects that directly influence security policy. The following ten universities go above and beyond to prepare their students for success. 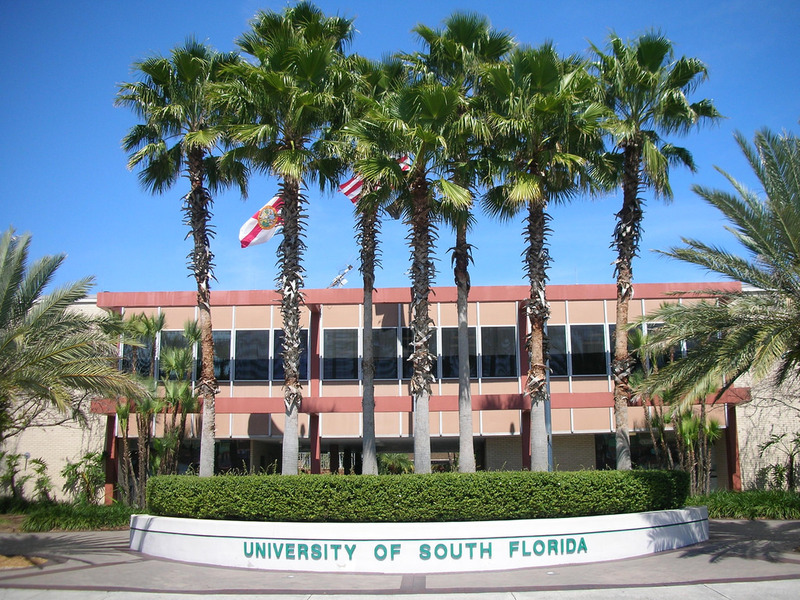 Cyber programs are blooming at USF, a public research university in Tampa, Florida that is huge on school spirit. Root for the Bulls and trailblaze your way through cyber security at the big up-and-comer on our ranking. Building on its certificate programs in cyber security, USF just launched an online Master’s program in Cyber Security in Fall 2014, which is already hands-down distinguished. Plus, if you’re a veteran, you may have found the school for you. USF’s cadre of talented faculty, many of whom are national and international leaders in their fields, support an ethos of excellence and drive the program’s success. Our instructors include innovators, researchers and highly experienced practitioners, all of whom educate our students on the latest technologies and emerging knowledge in their Cybersecurity specialties. Designed for asynchronous online learning, USF’s M.S. in Cybersecurity gives students a lot of latitude in shaping their experience. Whether they attend on-campus or remotely, students learn through interactive technologies, out-of-class exercises, and hands-on assignments. “We offer more than a talking-head video-capture string of lectures,” said Dr. Borum. All students pursuing the M.S. in Cybersecurity complete an “experiential learning” program, such as an internship, preparing them to face security challenges in the real business world. Aside from flexibility, the cyber security master’s program at USF stands out for its selection of security concentration areas — Information Assurance, Digital Forensics, Cyber Intelligence, and Computer Security Fundamentals. The options don’t end there. Alternative programs include the M.S. in Intelligence Studies and the Graduate Certificate in Cyber Intelligence. It’s cyber options galore at USF, and every one is worth it. USF handles all the standard military benefits that you would want and expect. But here’s where it gets good; the school is uniquely committed to transforming military members into cyber security professionals. The on-campus Florida Center for Cybersecurity launched the JPMorgan Chase “New Skills at Work” Initiative for veterans in June 2014, and the university has developed a specialized cyber security certificate program for military service members (active or transitioning). Funding can make or break research efforts, and Stanford is making it big. Located in the heart of Silicon Valley, this private research university is perfect for cyber security researchers who want to wax academic and produce results, while networking with government leaders. In February 2015, for example, Stanford hosted President Obama himself at the White House Summit on Cybersecurity. 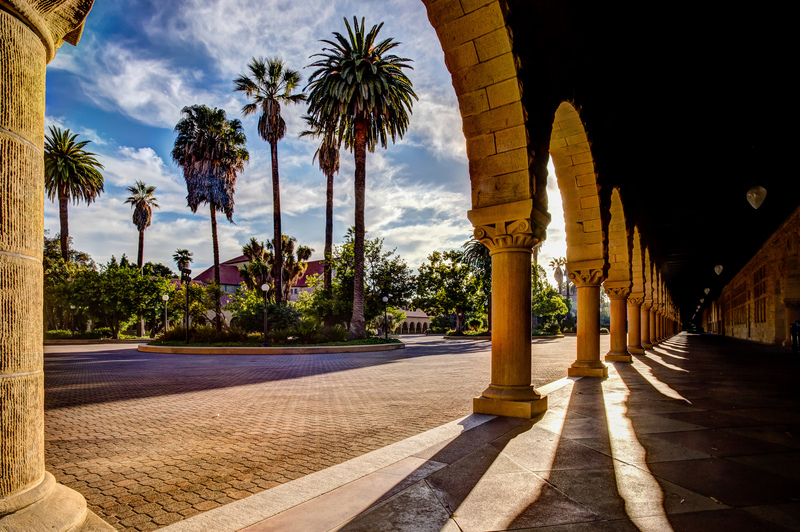 Along with cyber policy, cyber careers are born at Stanford. The important feature here is that a lot of the cutting-edge ideas and techniques are developed at Stanford…We teach those current techniques in our classes. Stanford has two major cyber security graduate programs — a standard Master’s in Computer Science and a unique joint degree program that combines an MBA with that same M.S. While students attend traditional lecture-style classes, they can get involved in research projects that focus on network and computer security. Overall, courses teach the latest cyber security techniques, many of which are developed right on-campus by Stanford researchers. Research-oriented students should take note of Stanford. In November 2014, the university launched a Cyber Initiative to direct interdisciplinary expertise toward cyber security research, funded by a $15 million grant. Stanford already has a cyber security fellowship program for grad students through the Center for International Security and Cooperation (CISAC), a community of scholars performing research that influences international security policy. Dedicated to supporting its growing number of veterans, Stanford established the Office for Military-Affiliated Communities in 2014. The office is open full-time to manage VA financial benefits (including GI Bill and Yellow Ribbon Program benefits), while organizing educational opportunities for military community members. 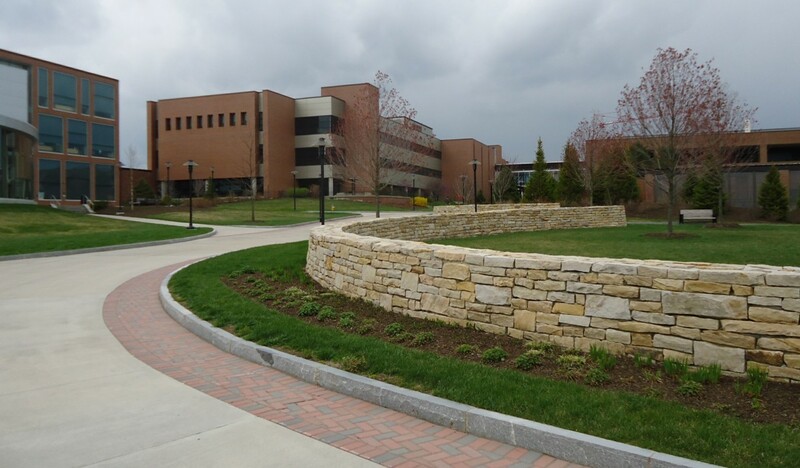 Launch your cyber security career and have fun doing it at the Rochester Institute of Technology (RIT) in New York. Cyber security programs at RIT emphasize “active learning.” From top-notch co-op education opportunities to an elite team for the National Collegiate Cyber Defense Competition (NCCDC), the school presents the cyber educational experience of a lifetime. Best of all, nearly 100 percent of RIT’s computing security master’s graduates go onto full-time jobs after graduation. One of the defining characteristics of RIT is its career-focused approach to education…Computing security students are often recruited to work full-time at the same companies where they complete their co-ops. RIT is the only school on this ranking with an entire department dedicated to Computing Security. Focusing on the development of next-generation professionals, the department awards both a standard M.S. and a joint B.S./M.S. in Computing Security. Courses give students an understanding of the technological and ethical roles of cyber security through classes that are hands-on, lab-oriented, and practical. RIT computer labs have state-of-the-art software and equipment, allowing students to learn with the same systems being used in the industry. Cooperative education (co-op) is outstanding at RIT. Co-op gives students school credit for paid work at an organization in their field. RIT students have completed co-ops at a range of government agencies (like the NSA) and top companies (like Google and Boeing). Students even have the chance to join RIT’s elite NCCDC team, which placed third in 2015, second in 2014, and first in 2013. Maybe you can take the team back to the top! RIT is known for its tradition of supporting active-duty military members and veterans, inspiring an extensive military culture across campus. Go to the Veterans Services Office to join the Veteran’s Club, take advantage of the Yellow Ribbon program and GI Bill, and discover other veterans’ benefits. More than just an impressive school for cyber security students, Drexel is a regional hub for the field, promoting research through its Cybersecurity Institute, and training Army Reserve members in cyber security as a Cyber P3 partner. Founded in 1891 in Philadelphia, this historic private research university is known for its long tradition of global, experiential education. Its online cyber security Master’s program is one of the best around. Programs are continuously updated to reflect changing technology, and students are prepared to face and adjust to the latest challenges as cyber security professionals. 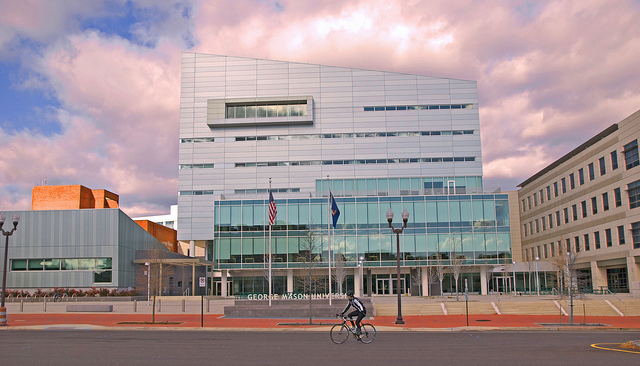 Drexel prides itself on providing experiential learning opportunities….Classes are challenging and stimulate the student through integrated labs, practical experiences and directly connecting with Drexel faculty. 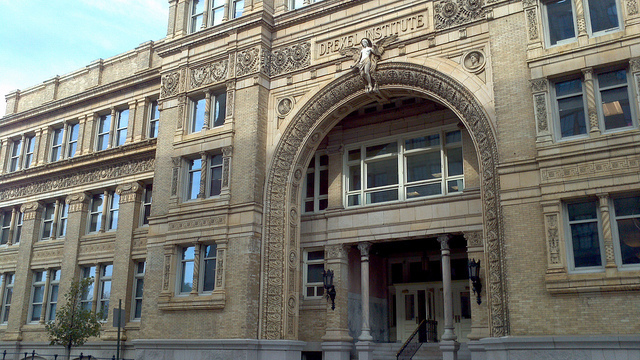 Whether you attend online or on-campus, Drexel’s M.S. in Cybersecurity focuses on technical training, while taking you through a research rotation model inspired by medical school rotations. This exposes students to research across departments, culminating in an interdisciplinary project. An alternative to the Cybersecurity degree is Drexel’s M.S. in National Security Management (MSNSM). This program is designed to prepare leaders for the challenges of cyber attacks across government and private sectors. Drexel integrates engineering, law, forensics, gaming, and the arts into cyber security education. Online courses continuously evolve, using the latest technology to create interactive lab experiences. Faculty are able to provide hands-on learning, despite students not being in a physical classroom. With extensive online programs and veterans’ services, Drexel is considered a top military-friendly university. 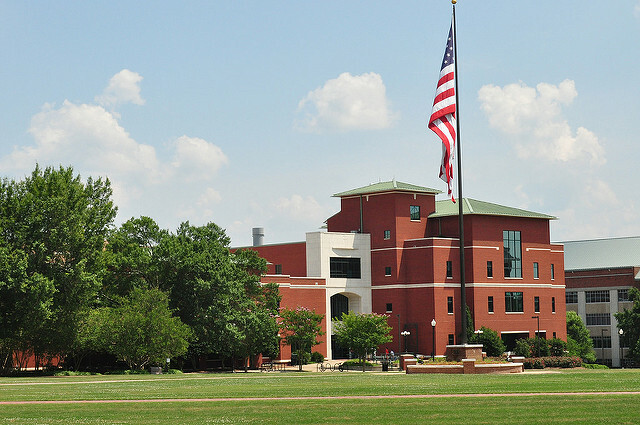 The school has ROTC programs as well as the Office of Veteran Student Services, which provides mentorship to student veterans, organizes special events for veterans and their families (like the Veterans Orientation), and assists students with financial aid, including Yellow Ribbon benefits. GMU is a large public research university in Virginia that is hitting cyber security from all professional angles. Its cyber security graduate programs are distinctly geared toward mid-career technical professionals, making professional networking an underlying benefit. All classes are scheduled in late afternoons and early evenings, and most exceptionally, academic instruction typically has a research to practice mindset. George Mason’s programs are at the forefront of cybersecurity education through our engagement with thriving Washington metropolitan-area community and our world-class research. GMU has two Master’s programs in cyber security — one in the School of Engineering and one in the School of Business. Both are formatted to turn working executives into cyber security management leaders. Students learn fundamental skills through hands-on activities, often experienced outside the classroom in the real world. Each program also includes a 10-day global residency, where students visit cutting-edge international cyber security enterprises. George Mason faculty live and work in Washington, D.C. and draw on their real-world experience to enrich classroom instruction. Better yet, the school’s longtime partnerships with local leaders have helped students take products from the academic setting to the actual marketplace. Several businesses have been launched by GMU alumni, including Lockheed Martin, Raytheon, and Booz Allen Hamilton. In addition to being one of the six Cyber P3 partners that trains military members in cyber security, GMU houses two major support groups for student veterans — the Veteran Society and the Veteran Engineering & Technology Students group — which facilitate smooth transitions from military life to civilian life. Other military services include the Battle Buddies Program, Military Alliance Program (MAP) training, tuition assistance, and advising on benefits. MSU is one of the most affordable institutions on this list, and one of the most active in doctoral research, notably in digital forensics. Perfect for a school with three security-related research centers, the university has been loaded with funds for high-tech equipment. And ladies, MSU is the only school we investigated with a “Women In Cybersecurity Program.” In 2014, 50 percent of students in MSU’s cyber programs were women. MSU is committed to cyber security strategically, so resources are made available to support research and education in cyber security, and that translates into a better educational experience for students. Graduate classes focus on “discovery learning,” where concepts presented in lecture are always accompanied by hands-on activities. First-year grad students take “split-level” classes with senior undergrads, and complete an extra research component for graduate credit. These classes are typical with lectures, readings, exams, and hands-on exercises. Grad students additionally take “full graduate” classes, which run as research seminars. In these seminars, students study published research, discuss the issues, and perform their own independent research to produce a final research paper. MSU’s world-class digital forensics laboratory has just about every kind of digital forensics equipment you could desire, from cell phone analysis tools to every digital forensics software package available. Even better, the computer security lab gives students access to 22 dedicated forensics workstations. These are used by real law enforcement professionals to investigate cyber crimes involving all types of tech, including Windows, Linux, and Macintosh. MSU provides military assistance through the G.V. “Sonny” Montgomery Center for America’s Veterans, named after the Mississippi congressman who expanded the GI Bill in 1985. The university regularly organizes military events and support groups, including the MSU Veterans Day Awareness Week, the Veteran Focus Group, and the Community Veteran Recognition Program. Get your hands on the latest hardware at Syracuse. This private research university in New York has been teaching network security since 1998, and its curriculum shines with a reverence for physical systems security, demanding students understand ironclad protection down to even the minutest computer component. Today, graduate experiences span across departments, teaching in-depth technical security in areas ranging from programming semantics and software engineering to control theory and signal processing. Our focus both on formal methods as a basis for security and our attention to security at all levels of the hardware/software stack gives our students a unique level of preparation and a problem-solving toolkit. Syracuse treats security first as a principle in designing secure computer systems. Students work in teams to address security technically from the bottom to the top of the system stack. Professors love to integrate new technologies into their teaching, like mobile operating systems and Systems on a Chip. Building on that foundation, students work with programs across campus (such as law and public policy) to address security in a holistic manner. Cyber students at Syracuse benefit from the school’s long history of security programs. Its close longtime partnership with the U.S. Air Force Research Laboratory (AFRL) gives faculty and students direct knowledge of real cyber defense problems. Syracuse helps veteran students transition from military to civilian life through an enormous list of veterans’ services, including GI Bill and Yellow Ribbon assistance, the VetSuccess on Campus Program, leave of absence, scholarships through Veterans Career Transition Programs, discounted tuition, and the Veterans Legal Clinic. Learn to master computer vulnerabilities from the comfort of your home or office by getting your Master’s through Norwich University Online. The oldest private military school in the United States boasts an exceptional online graduate program grounded in the school’s long rich history in Vermont. You’ll be put into state-of-the-art virtual labs and challenged to solve the nation’s cyber security problems. And if you live in the area or want to relocate, instructors are available on-campus to create a hybrid learning experience. Technology changes so fast, what we’re telling you is you always need to be looking, you always need to be watching, and we give [you] the tools to do that. The online M.S. in Information Security & Assurance has mostly web-based asynchronous courses, meaning if you’re on-campus, you can go into class anytime at your own convenience. There are weekly readings and assignments, and the instructors are in class at least every 24 hours. After completing three 6-month semesters, every student’s final requirement is a one-week residency (and graduation ceremony) at the Norwich University campus. All students gather to celebrate and network with faculty, students, and staff. The virtual labs are outstanding. Professors make you crash systems, and students can interact with each other. Some courses, such as vulnerability management courses, do require traditional lectures, but when it comes to cyber education at Norwich, you have the freedom to succeed online on your schedule. Norwich is one of the United States’ six “Senior Military Colleges” and one of the six Cyber P3 partners who trains Army Reserve members in cyber security techniques. 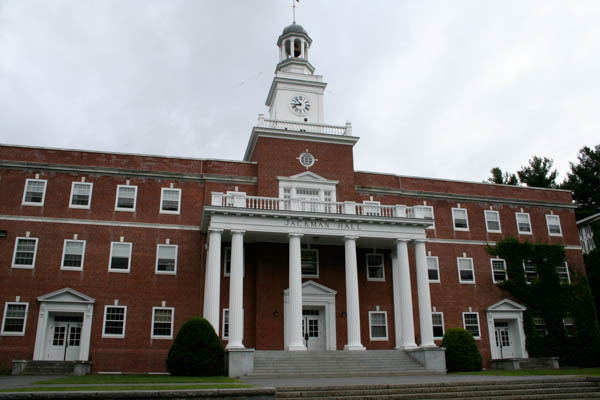 Designated by the Department of Defense as the “Birthplace of ROTC,” the school has a complete menu of military benefits, including the Norwich University Military Scholarship and assistance with other military financial aid. Nothing screams long-term dedication to cyber security education like UTSA’s commitment to hosting and competing in the annual, renowned National Collegiate Cyber Defense Competition (NCCDC). UTSA is a public university with a passion for experiential cyber education that leads students into real work opportunities. Recent graduates have secured positions with employers such as Booz Allen, Ford, Raytheon and the NSA. Many programs produce [either] skilled cybersecurity practitioners, or people knowledgeable about cybersecurity, but few achieve both. UTSA does. Where integrity, excellence, inclusiveness, respect, collaboration and innovation are fostered. 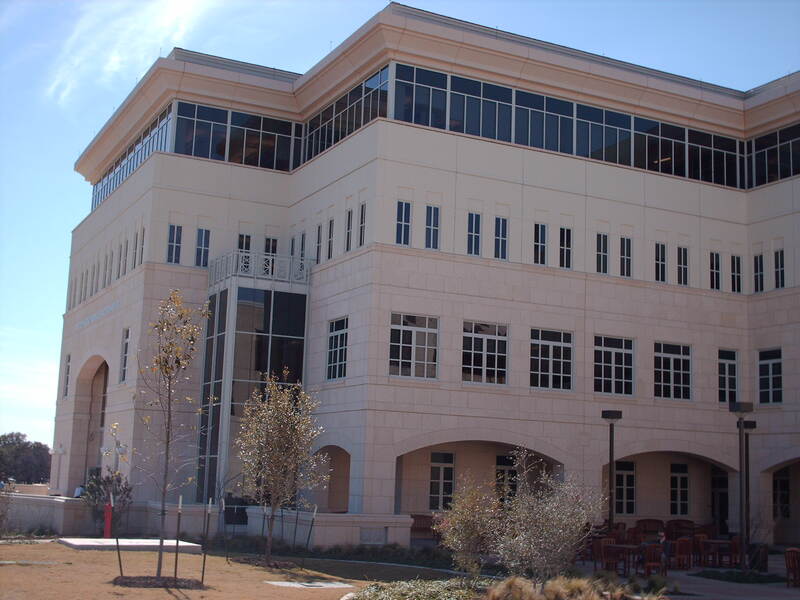 UTSA takes a multi-disciplinary approach to cyber security, with programs housed across the College of Business, the College of Engineering, and the College of Science. Grad students benefit from extensive computer classrooms, including three dedicated entirely to cyber security-related curriculum. Students get to conduct hands-on laboratory exercises using high-end virtual machines and cloud-based (online) infrastructures, resulting in extreme educational flexibility and richness in cyber security knowledge. UTSA has an active on-campus cyber security culture. You can compete in cyber forensics challenges and cyber defense competitions (like the NCCDC), or join the student-led computer security association. These opportunities are backed by state-of-the-art facilities, including a Cyber Collegiate Defense Competition training lab. As one of the six Cyber P3 partners training U.S. Army Reserve members in cyber security, UTSA naturally cultivates an active military culture for its military cyber students. With Army and Air Force ROTC programs, the university has one of the most comprehensive ROTC programs in the nation. Financial benefits are delivered through the Montgomery GI Bill and other military-related aid. 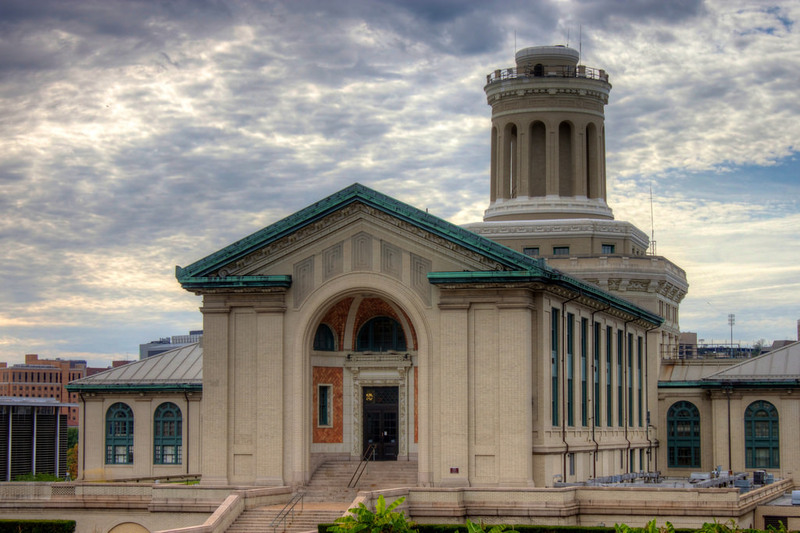 Founded in 1900 by Andrew Carnegie, Carnegie Mellon University (CMU) in Pittsburgh is an historic research institute that prefers its students to be hands-on with cyber security. The school censors the City of Pittsburgh, for example, and gives students the opportunity to analyze real-time attacks on the city’s networks. CMU education is so practical that many businesses ask the college to solve their security problems, and the work is often passed onto students. We believe that it’s not just information security; it’s security with IT management and policy, so our classes cover the gamut. Grad students can choose from several well-funded cyber security degree programs at CMU. Three sets of experiences serve three different audiences. One is for younger students who can stop everything and go through a full-time, two-year program in Pittsburgh. Another is for security professionals who want to take classes part-time, either on-campus or online. The third is a hybrid program (on-campus/online) for Chief Information Security Officers. CMU sits within 20 yards of the world-famous Computer Emergency Response Team (CERT) for the United States. Students work with CERT professionals who do day-to-day incident response for the government. CMU also gives students the option to study in Portugal or Japan. These students commonly find long-term jobs while abroad. Military community members find broad support at CMU, including assistance in applying for Veterans Education Benefits. 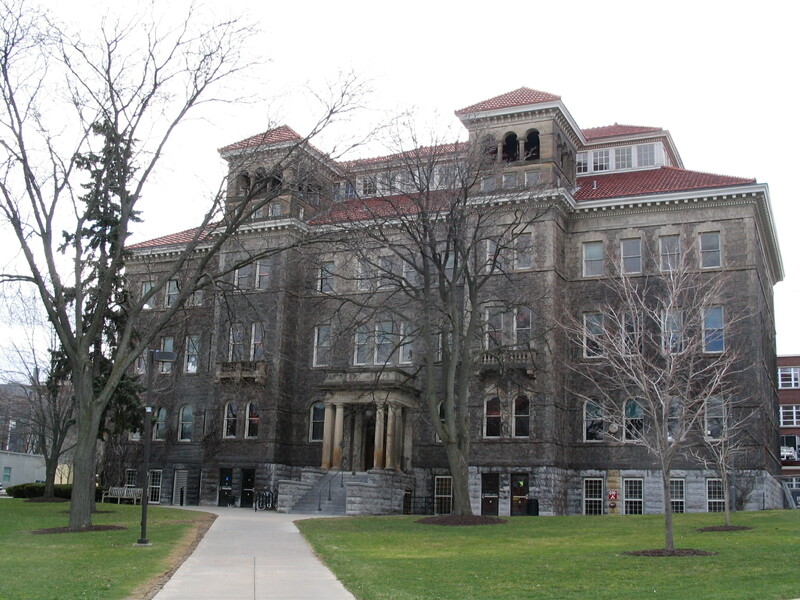 Most notably for cyber security students, the Heinz College is home to the Heinz Student Veterans Association, which supports veteran students during their transition from military to civilian life. How is Georgia Tech and JHU not in the list when syracus and misisipi state are there. I find this so weird. Military Spouses: Thinking about Going Back to School? Try Online College!